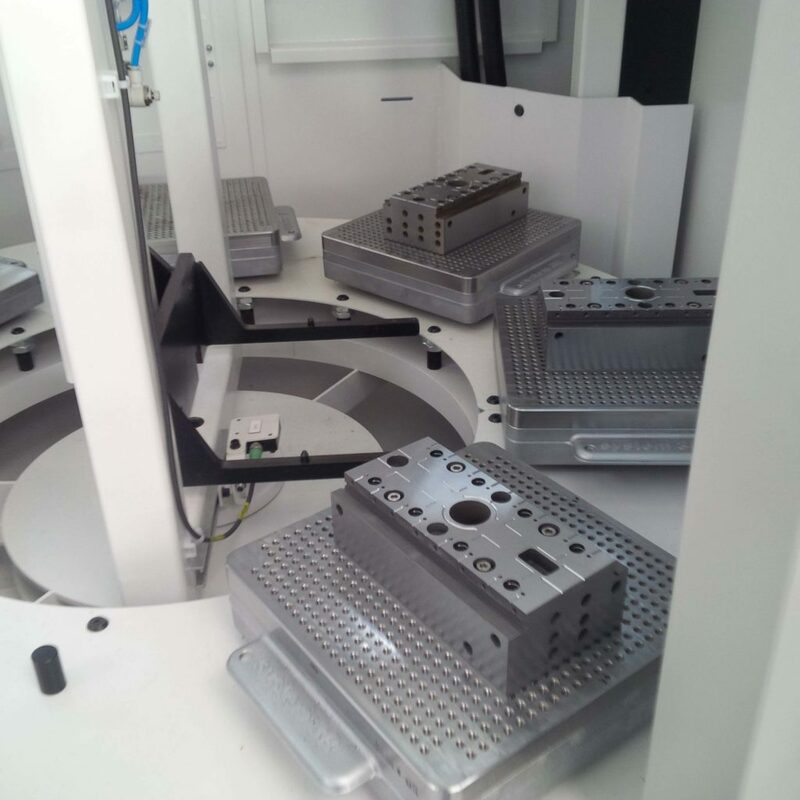 For over 20 years, Pantostamp has designed and manufactured complex multi-cavity moulds for plastic materials intended for the Packaging industry and, in particular, for the pharmaceutical, cosmetic and detergence sector. 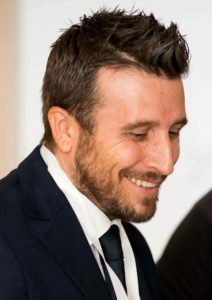 The company, headquartered at Opera (MI), operates both in Italy and abroad, with about 40% of turnover coming from export activities in Germany, France, Switzerland, Spain and Mexico. Alessandro Scalici, owner of Pantostamp and President of Ucisap, describes us a constantly evolving industrial sector, where innovation skills are a precious quality for a toolmaker and the business collaboration a winning factor to face Industry 4.0. Both. Innovating means experimenting new industrial applications, by exploiting new technologies, too. The first step taken by Pantostamp towards that direction was, like in many other sector companies, automating its own manufacturing processes where necessary, to increase the work volume and therefore to exploit the advantages offered by unmanned work shifts. To the ends of organization, it is important to provide for the introduction of software that allow the planning and the management of the workshop activity, to be considered as strategic tools for the optimization of the production flow and not as constraints to one’s own operation and flexibility. 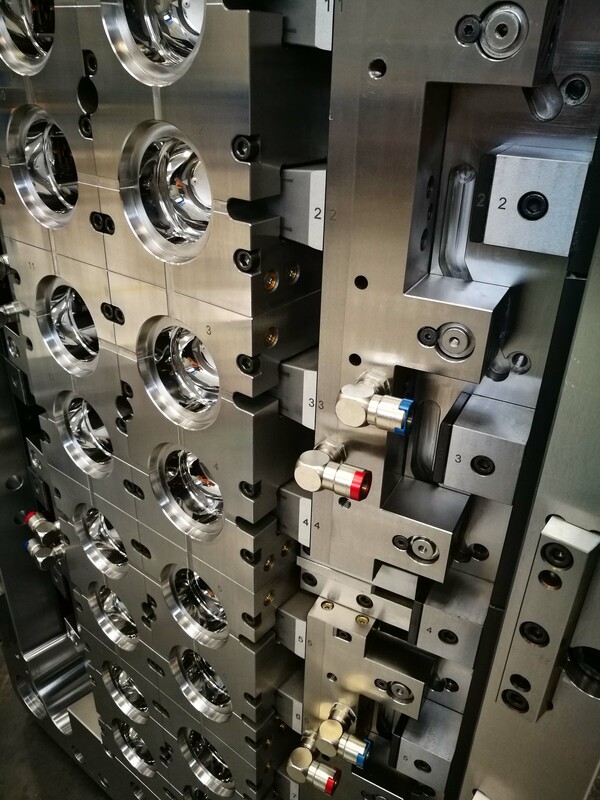 In our sector, multi-cavity moulds for Packaging, the quality and reliability level of moulds demanded by customers is unceasingly rising. For this reason, we are constantly researching new applications that can provide our customers with productive advantages. Sometimes, this results in the experimentation of new technologies applied to moulds themselves, like for instance the use of new steels, of new treatments and coatings or of different technologies, such as sintering, and so on. 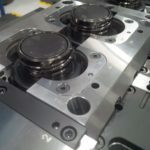 Through the support of innovative instruments and software made available by the digitalization of the industrial sector, Industry 4.0 can allow improving manufacturing companies’ production processes, for instance correcting and perfecting work cycles, depending on the available machine and process data. However, all that takes an effective value only if it becomes the successive step of a concrete, and already pre-existing, productive efficiency. Both, also in this case. In recent years, Pantostamp has notably focused on the development in foreign markets, especially in the neighbouring Germany, however without conferring a role of secondary importance to the Italian one, which currently represents the highest percentage of our turnover. 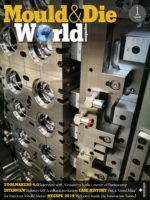 For toolmakers, the participation in exhibitions and trade fairs is a simple and efficacious manner to approach foreign Countries, taking care of new interesting business opportunities. Today Ucisap jointly takes part in these meetings, allowing companies to exhibit their products and showing their competences putting on a single “hat”, even keeping their entrepreneurial realities well distinguished. In the past, we benefitted, also successfully, from incentives oriented to internationalization. Unfortunately, these initiatives are not always easily accessible and, from the financial point of view, they provide not very significant margins in the global implementation of a project. However, I am not referring to European funds but to national or regional ones. It would be important that competent Bodies tried to make access procedures to such funds leaner and simpler, to avoid discouraging the companies that would have the capability and the intention of taking advantage of many of these interesting development opportunities.